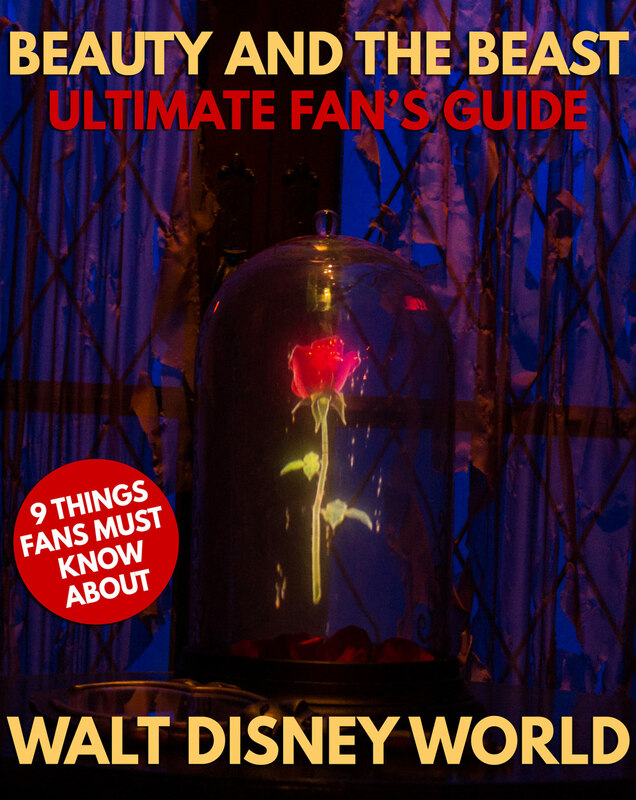 Welcome to our very first Guide2WDW Fan Guide. One of the best parts of Walt Disney World is to be able to experience your favorite Disney stories and characters in entirely new and unique ways. For these guides, we’re going to pick one property that you may be a fan of and show you everything that’s going on at Disney World that has to do with that movie or show. We’ll break down each park with all the rides, shows, shops, and meet and greets that you won’t want to miss. In honor of Disney’s release of the live-action Beauty and the Beast starring Emma Watson, what better way to kick off this new series than with a look at everything Walt Disney World has to offer for the Beauty and the Beast fan? So, sit back, grab a healthy dollop of the gray stuff, and be our guest. If you’re a fan of Beauty and the Beast, Magic Kingdom is the best park for you. 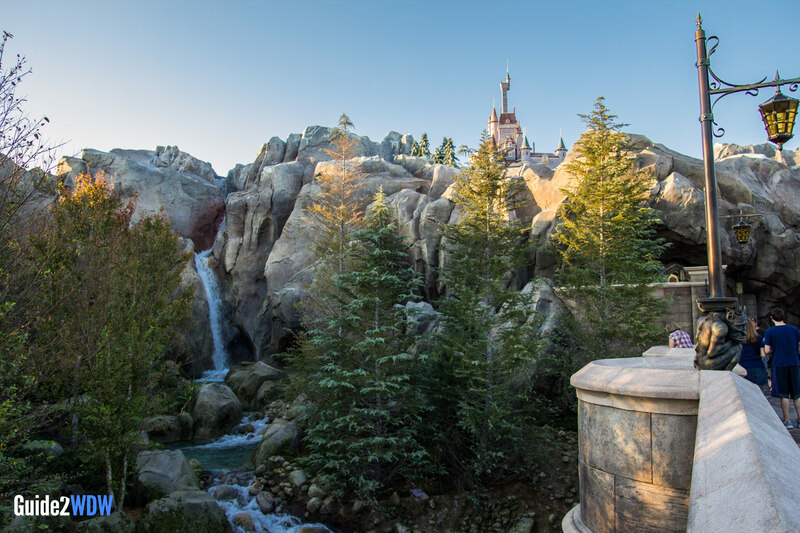 A whole section of Fantasyland is themed to Belle’s village and Beast’s castle, and there are fantastic opportunities to dine in the West Wing or recreate the story of Beauty of the Beast with Belle and Lumiere. Best of all, everything is conveniently located in one section of the park. Just head to the back of Fantasyland to find this quiet village directly behind Cinderella Castle and past 7 Dwarfs Mine Train. 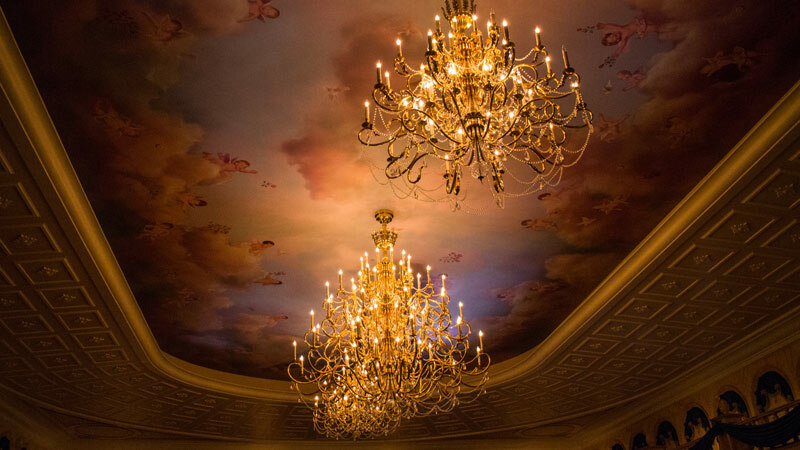 Be Our Guest is truly a one of a kind dining experience. With three highly themed dining rooms, including the breathtaking ballroom and the ominous West Wing, Be Our Guest is the best that Disney has to offer when it comes to themed-dining. As soon as you step through the giant front doors of Beast’s castle, you feel like you’re stepping right into the movie. Luckily, the food doesn’t let down the theming, as each meal I’ve had here has been consistently good, and occasionally great. You can even try the gray stuff for dessert (although I prefer the chocolate cream puffs). It’s definitely a “must-do at least once” restaurant at Disney World, even if you’re not a Beauty and the Beast fan. Tip: During dinner, guests will also be able to meet Beast and get their picture taken with him after they are done dining. The only hurdle to dining at Be Our Guest is how popular the restaurant has been since it’s opened. This is one of the hardest Advanced Dining Reservations to get at Disney World, so try to book as early as possible. This goes for breakfast, lunch, and dinner, unless you want to wait in an extremely long line in the sun for lunch (which, spoiler alert, you don’t). Our favorite experience has been dining in the ballroom for dinner, as it’s not quite as loud or hectic as lunch. But however you can manage, be sure to get a reservation for Be Our Guest. Another must-do for the Beauty and the Beast fan is to check out Enchanted Tales with Belle. This attraction is a hybrid of a show and a meet and greet, and from start to finish it’s dripping in charm. Guests journey through a portal into the Beast’s library, where they take on roles and reenact the story of Beauty and the Beast with Belle. While this attractions will be the best for kids who will want to be an actor in this little play, it’s also fun for adults to watch unfold. This is also because this show includes some fantastic effects, including a see-it-to-believe-it animatronic of Lumiere. Afterwards, the participants get to have their picture taken with Belle, so if someone in your party wants to meet Belle, this is a fantastic opportunity, and worth the FastPass+ in that case. Just past Be Our Guest is a little corner with a not so little statue of Gaston. Everyone’s favorite handsome meathead has his own dedicated section of Fantasyland, including Gaston’s Tavern. This counter service restaurant offers up snacks like a massive cinnamon roll or a ham-and-cheese stuffed pretzel, but Gaston’s Tavern is most notably known for LeFou’s Brew, a frozen apple drink, and, during colder months, LeFou’s Winter Brew, a hot chocolate type drink. Gaston’s Tavern is worth a visit alone for to notice the details or to sit in Gaston’s massive chair near his massive portrait. 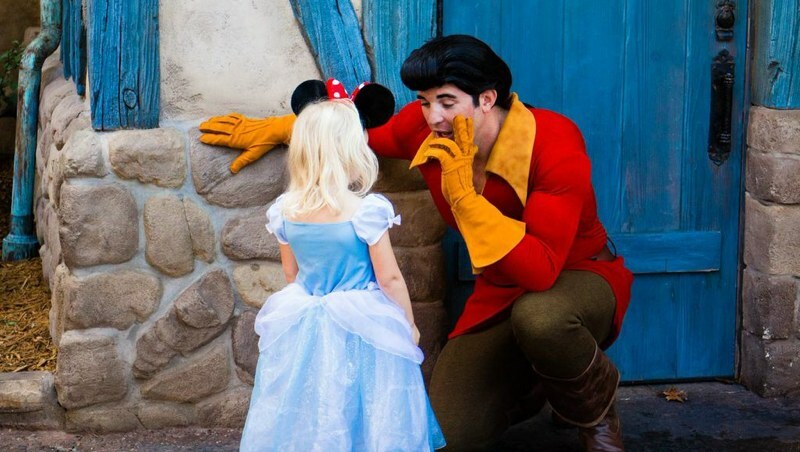 Just outside of Gaston’s tavern, you’ll often find a meet and greet line for Gaston. This is one of the most unique character meet and greets on property, so if the line’s short, be sure to jump in. 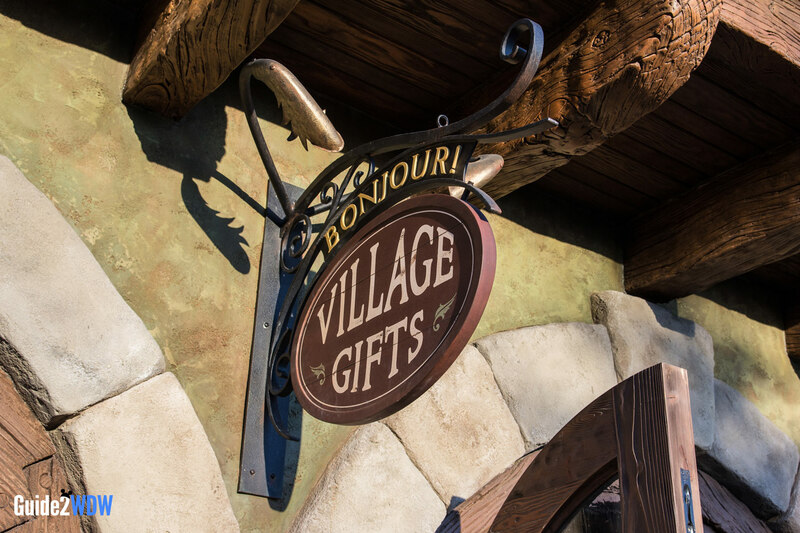 There is a dedicated Beauty and the Beast shop near Gaston’s tavern called Bonjour Village Gifts. This has some pretty great Beauty and the Beast merchandise. Right next door is Maurice’s Amazing Popping Machine, which offers popcorn and drinks. 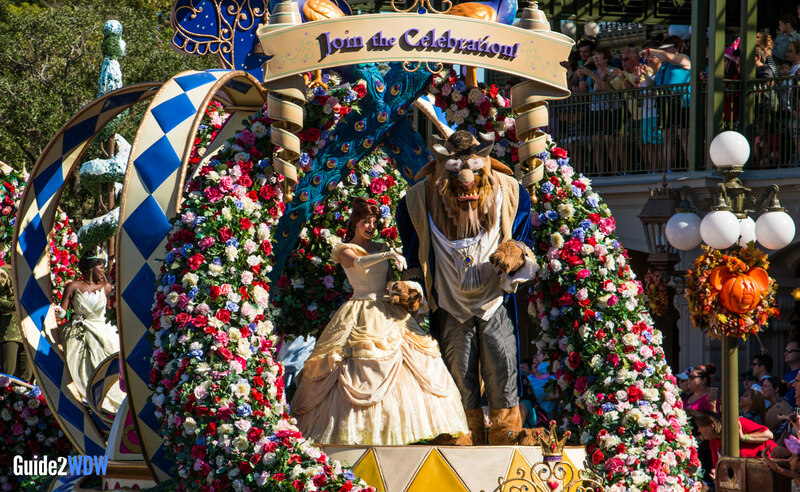 Magic Kingdom’s afternoon parade features Belle and the Beast on the Princess Garden float, at the very beginning of the parade. Magic Kingdom recently added a new projection show called “Once Upon a Time,” which is hosted by Mrs. Potts and features Chip. There’s a really cool Beauty and the Beast portion to this show. If you’re in the park late, it’s definitely worth checking out, and you can get good viewing pretty much anywhere by the castle or down Main Street. Right along the waterfront in the France Pavilion, guests can meet Belle in her iconic blue outfit that she wears at the start of the film. These meet and greets happen intermittently throughout the day, so you may be lucky and stumble upon Belle while there’s a short line. 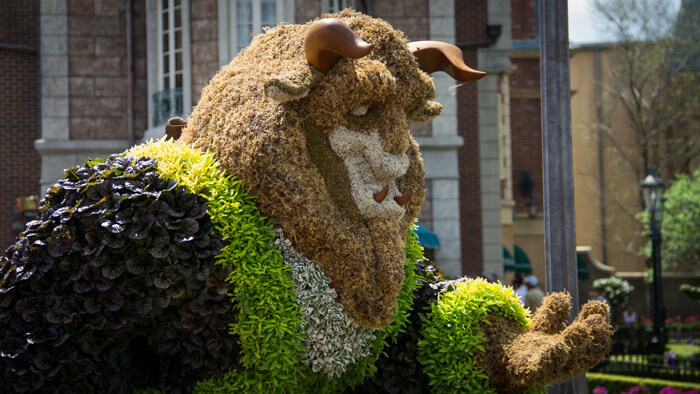 Some of the best parts of the Epcot Flower and Garden Festival (which takes place in the spring of each year) are the character topiaries that adorn Epcot’s pavilions. These topiaries are a must-see, and the France Pavilion features topiaries of Belle, Beast, Lumiere, Cogsworth, Mrs. Potts, and Chip. On Sunset Boulevard near Tower of Terror at Disney’s Hollywood Studios, you can see a 30-minute stage musical of Beauty and the Beast. While this show doesn’t quite has the production values of some of Disney’s newer theme park shows (like Frozen at Disneyland), Beauty and the Beast fans will still enjoy this excuse to sit in the shade for half an hour. 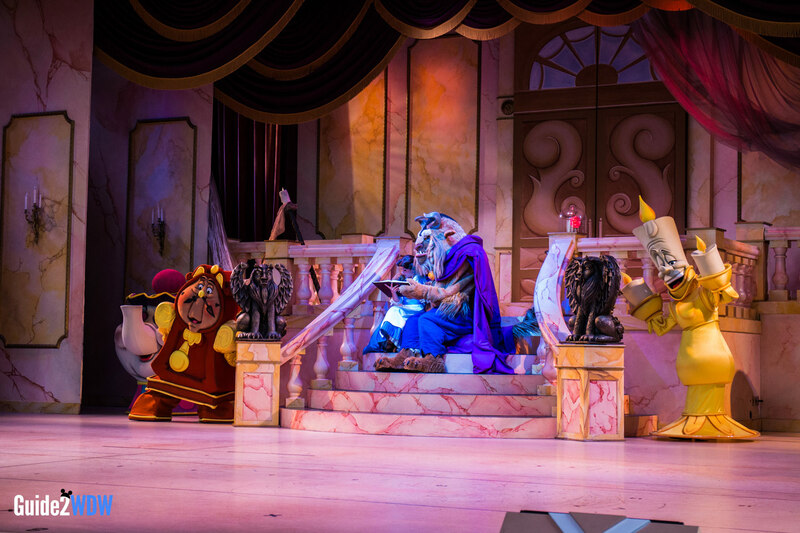 What’s your favorite Beauty and the Beast thing at Walt Disney World? Sound off in the comments below!